Backyard Chicken Coops have been selling quality coops to the good people of Brisbane and Australia for a number of years - and we certainly don’t plan to stop for a long while yet! But what egg-sactly makes our products the best chicken coop in Brisbane? Well, here’s why! Every single one of the chicken coops in Brisbane we sell, we designed from scratch ourselves. Because we are poultry enthusiasts ourselves, we know what chickens need in order to be comfortable and have all their needs met. It’s the best material for good ventilation. Timber will keep the coop warm in winter, and cool in summer. 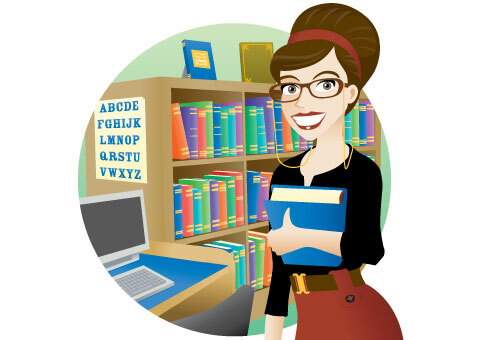 Plus, we’ve designed our coops to be completely draft-free, so your chicks don’t catch a sickly chill! It’s very pleasing to the eye, and is perfect for the ‘rustic’ look we know many of our customers love! When oiled with the timber protection or painted, the coop is guaranteed to last the distance, and will be keeping your backyard flock happy for years to come! 3. It’s easy as pie to assemble. We know assembling flat packs can have one tearing their hair out in frustration. We’ve been through the trauma too many times to ourselves to count! That’s why we’ve designed our coops to be as easy to assemble as possible. All you need is a phillips head screwdriver and a set of hands to use! Assembly time is around one hour - not bad for the masterpiece that results! 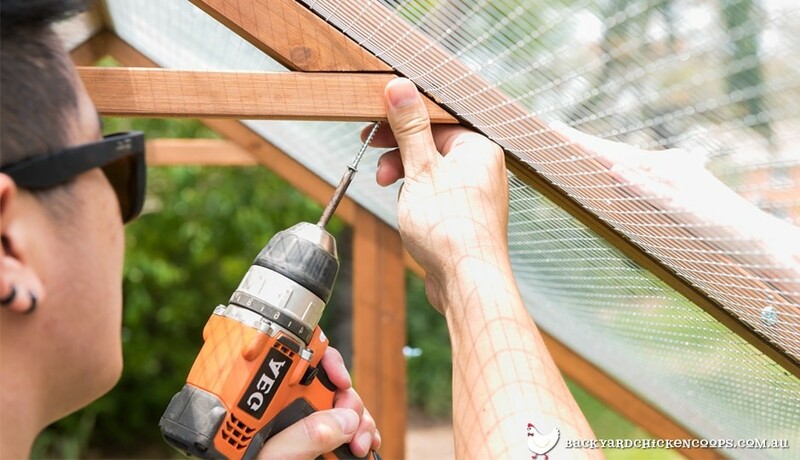 The proud owners of our chicken coops in Brisbane can rest easy knowing their chickens’ environment provides them with the space to nest, roost and access fresh grass. Nesting boxes: The hens need a private, cosy and comfy space to lay their delicious eggs - hence why nesting boxes are a necessity! If your hens don’t have nesting boxes or a safe place to lay, they will become incredibly stressed, and it will be extremely unpleasant for them! Perches: Chickens need perches to roost on, otherwise they simply can’t get a good night’s sleep! Also, having the right amount of perch length is important to their comfort. Chickens like to huddle and be cosy - but they can’t be falling off the perch because they’re super squished! We’ve calculated the right amount of perch room as per the recommended number of chickens for each coop we put on our website - so they will definitely have enough room for their night’s rest. Having the right coop facilities is crucial to keeping your flock healthy, happy and laying productively! We have taken all the needs a chicken has into account, and have designed our coops specifically to meet them. 5. You can decorate and paint it to your hearts content. We love the timber look of the coop - but that doesn’t mean you have to keep it that way! Our chicken coops in Brisbane can be easily painted any colour that you desire. In fact, painting the coop will help seal the coop’s longevity - as it protects the material from becoming weathered. Of course, if you do love the timber look, a slick of timber protection oil will have it standing strong for years to come. 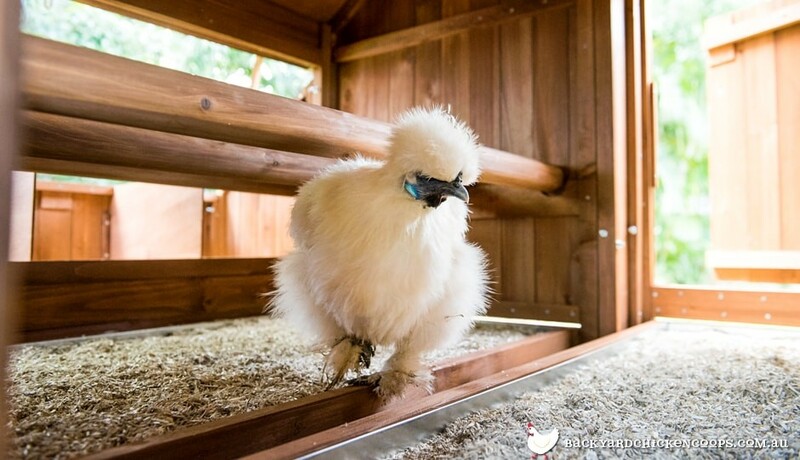 Many of our customers favour a crisp white coat on their chicken coops in Brisbane, which certainly makes it stand out amongst the greenery of backyard. Navy blue has also proved to be popular, especially when mixed with white - it really adds a touch of sophistication and personality to your wonderful coop. 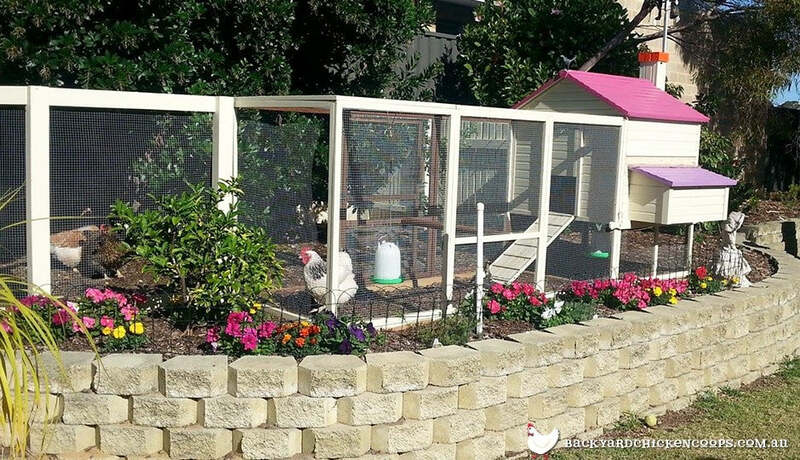 Our customers often buy our chicken coops in Brisbane not just because they make incredible homes for their flock, but because they like the aesthetic value they bring to the backyard. Because you can customize and decorate our coops once they’ve arrived at your doorstep, you can make them any style you like! Rustic chic, classic American...the choice is yours! Many of our customers with their chicken coops in Brisbane have done an incredible job painting their chicken houses - here are some prime examples of their artistry. Don’t just take our word for it - our customers absolutely love our chicken coops in Brisbane. We always try and get a testimonial from as many of our loyal customers as possible, so we know where to improve, and to make sure we’re doing our best to please! Here’s some chicken chatter from our loyal customers about why they love our chicken coops in Brisbane. We work hard to bring poultry enthusiasts the best chicken coops in Brisbane, because we know how much easier it makes keeping chickens! Take a look at our coop range - the Taj Mahal, Penthouse and Mansion. Also, if you have one of our coops and have gotten creative with your painting, please send us photos! We love to see them and share with our fellow poultry enthusiasts.